The number of icebergs has doubled this year – posing a threat to man’s attempts to rule the oceans. Satellites are the first line of defense. They look for icebergs and feed images through an algorithm that tries to separate whales and waves from icebergs. Planes are then dispatched to get a closer look at the floating mega-blocks. If they look like they may pose a threat, ships with lasers and sonar could be deployed to get finer readings of projected trajectories. That’s where the cowboys come in. If the icebergs are small then a water cannon is enough to change the trajectory or melt them entirely. 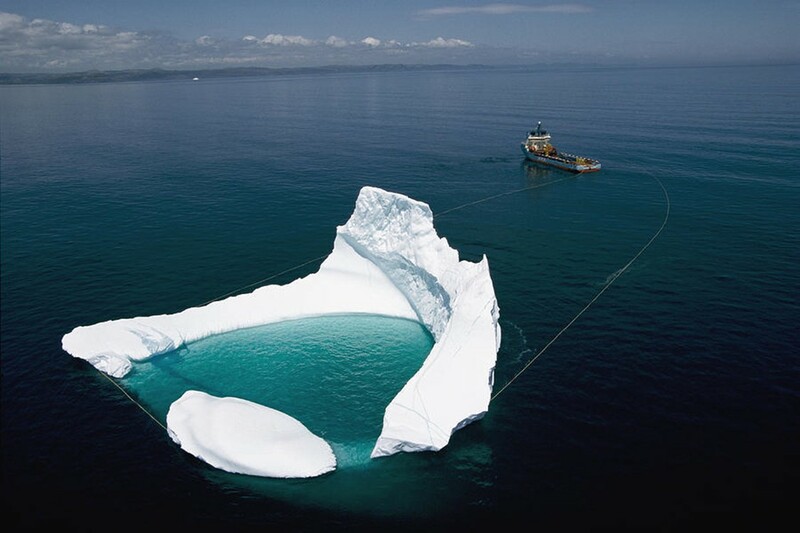 But for the large ones ships will literally get a polypropylene rope, circle it around the iceberg, and slowly pull the iceberg out of harm’s way. It’s sobering work – especially since it’s done in a part of the Atlantic close to where the Titanic went down. But the sophisticated iceberg defense mechanism isn’t there to protect ships. It’s to look after floating oil platforms – a collision could lead to a catastrophic oil spill. The iceberg hunters are only going to get busier. Oil companies are interested in more drilling opportunities around the area known as “Iceberg Alley”. The Self-Defeating Nature Of War?